Today’s news review looks at the coverage of our annual school workforce figures. Yesterday, we published statistics on the school workforce in England. These are published annually and include findings for November 2015, including, teacher numbers, trends and characteristics. The number of teachers is at an all-time high: there are now 456,900 full time equivalent (FTE) teachers, up 2,000 from last year and 15,100 from 2010. There were 45,810 FTE new teachers in state-funded schools, which is the highest number of new entrants since 2008. The FTE number of former teachers coming back to the classroom has risen significantly – from 11,710 FTEs in 2011 to 14,060 FTEs in 2015. In 2015 43,070 FTE teachers left, but they were replaced by 45,810 new entrants. 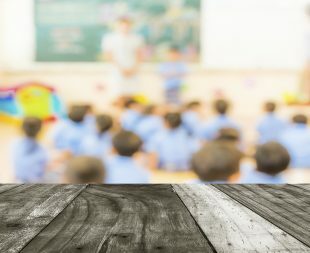 Around 90% of teachers continue in the profession following their first year of teaching and this has been the case since 1996. The Times have covered the release of the statistics in print and the Telegraph ran an online piece. Both publications fail to acknowledge any of the positive findings. While the Times acknowledge the rise in the number of teachers in our classrooms, they focus on the number of teachers leaving the profession, and fail to make clear that there are more teachers joining then leaving. The Telegraph article also ignores the fact that there are more teachers in our schools than ever before and that the number of new teachers entering our classrooms continues to outnumber those that retire or leave. Teachers are integral to our vision of delivering educational excellence everywhere and thanks to their hard work over 1.4 million more children are in good or outstanding schools than August 2010. Today’s figures show that teaching continues to be an attractive career with more teachers in our schools than ever before – 15,000 more since 2010 – and a year on year fall in the number of vacant posts. The number of new teachers entering our classrooms outnumbers those who retire or leave, while there are more teachers returning to the profession, demonstrating how many people relish the prospect of a career where they can transform lives every day. These statistics also show our reforms to the curriculum are continuing to deliver with more time being spent teaching children the Ebacc subjects, providing children with a strong academic core to give them the best start in life.